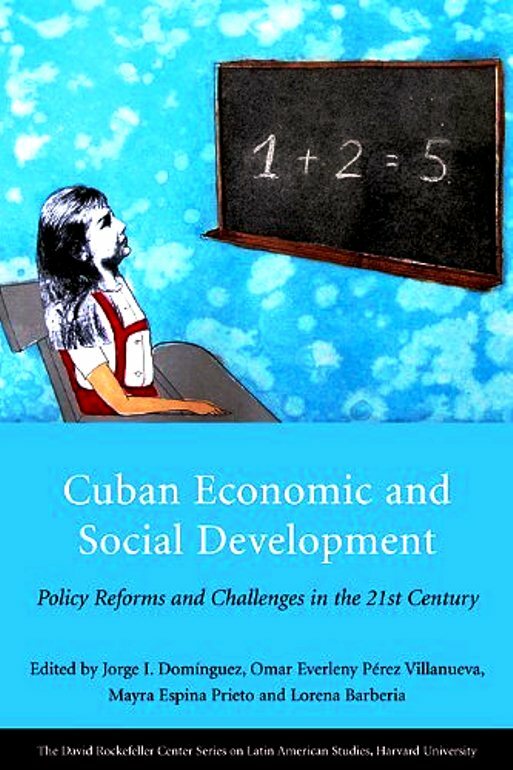 Cuban Economic and Social Development: Policy Reforms and Challenges in the 21st Century. Edited by Jorge I. Domínguez, Omar Everleny Pérez Villanueva, Mayra Espina Prieto and Lorena Barberia. David Rockefeller Center for Latin American Studies, USA, 2012. Pp. iii + 333. $24.99 paper. ISBN: 9780674062434. This volume is a co-produced University of Havana / Harvard volume edited by Jorge Domínguez, Omar Everleny Pérez Villanueva, Mayra Espina Prieto and Lorena G. Barberia. Its objective is to describe and diagnose some of the central economic and social challenges that Cuba faces and to analyze some policy alternatives for meeting these challenges. The analyses are written by the University of Havana analysts who are among the strongest and most authoritative in their areas. These are accompanied by commentaries from professors at Harvard and the Federal University of Rio de Janeiro. The papers were prepared before the presentation of the government’s preliminary reform program, as outlined in its November 2010 Guide, though Domínguez’s introduction was written on the eve of the April 2011 Sixth Party Congress and draws on the authors’ analyses as well as the government’s proposals. Fortunately, the University of Havana authors present analyses of the key issue areas in an ambitious and long-term frame that goes beyond the discussion in the Guide and therefore does not read as dated. The opening chapter by Pérez Villanueva presents a summary overview of Cuba’s economic performance during the “Special Period” to 2010. His analysis leads to the conclusion that, “economic reform should be seen as the first of the structural changes that the country requires. Cuba’s economic problem is that the current economic system cannot serve as a starting point for the country’s development.” (Villanueva 16) He then proposes a variety of policy changes, some of which have in been incorporated into the Government’s policy reform program, for example ending rationing and state regulation rather than direct management of enterprises. Two essays on Cuba’s dual monetary and exchange rate system are included from Vidal Alejandro, formerly with the Banco Central de Cuba. The first focuses on the sources, character and cure of the monetary/exchange rate duality. Of special interest is the section proposing a set of policy reforms that provide a strategic approach for the establishment of a single currency. Vidal Alejandro’s second essay is a more technical analysis of the international economic crisis of 2008-2009 and its repercussions for Cuban monetary policy. In chapter six, Anicia García provides a fifty-five page analysis of agricultural production, food availability, and imports and exports of food and agricultural inputs. 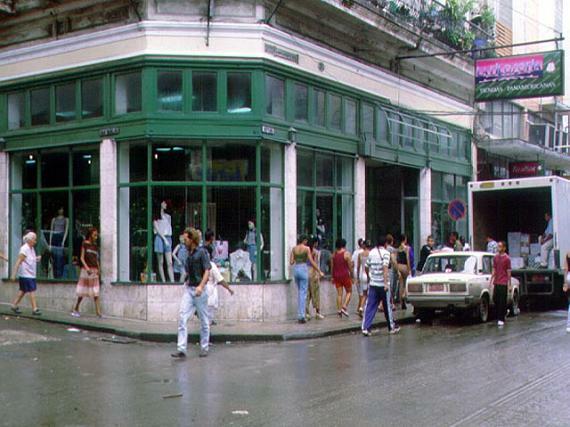 The sector has been severely damaged by its low policy priority over the last twenty five years, low prices in the state marketing system, minimal investment, a perverse exchange rate, and the strength of foreign competition – notably from the United States since the opening of agricultural exports to Cuba by that country. This is an impressively detailed and comprehensive analysis, clearly the best to appear so far. Following this is a fine chapter by Pérez Villanueva on direct foreign investment extracting insights from the experience of China and Vietnam for Cuba. Mayra Espina Prieto and Viviana Togores González contribute a valuable chapter analyzing Cuba’s changing socio-economic structures since the beginning of the “Special Period” in 1990, characterized by greater economic and social differentiation among sectors, regions, social groups and individuals and some exacerbation of inequalities, all of which have been generated by enhanced social mobility for those riding high in emerging economic activities and sectors of the economy, notably the higher end “self-employment” activities such as tourist oriented restaurants and “bed and breakfasts.” New circumstances require new policy approaches and the authors emphasize the importance of targeting social programs, of focusing at the household level, of enhanced and sustained financial support for social policy and of social program decentralization. The last chapter, by Lucy Martín Posada and Lilia Núñes Moreno, examines the regional and housing dimensions of inequality in Cuba. Drawing on regional statistical information from the Oficina Nacional de Estadísticas, the work of other analysts, their own analyzes and a survey, they construct a clear portrait of regional, housing and economic inequalities. They also present a range of specific policy recommendations for reducing these inequalities. All in all, this is a valuable analytical survey of some of the central issue areas in Cuba’s current reform process. However, economic policies in a range of vital issue areas remain to be analyzed in greater depth as part of the process of the actualización of the Cuban economy. One hopes that the next round of major publications on the Cuban economy will investigate some of these specific policy areas more profoundly than was possible in a general volume such as this. Of particular relevance would be analyses of the policies toward industry, energy, infrastructure, the service sector, small enterprise and the private sector, cooperatives, state enterprise, foreign investment and joint ventures, exchange rate and monetary issues, trade policy, policy towards foreign investment, social policies, health and education, labor issues, pensions, demographic issues, cultural areas, etc. The work ahead is daunting. 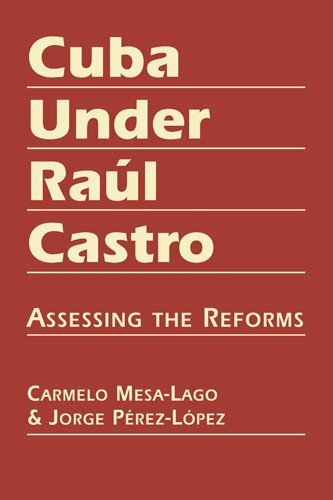 Cuba Under Raúl Castro: Assessing the Reforms is, so far, the definitive survey, analysis and evaluation of Cuba’s economic and social policies and of its development experience during the Presidency of Raúl Castro. This is an excellent volume. Mesa-Lago and Jorge Pérez-López have built on their 50 and 40 years records respectively of their highest quality analyses of the economic strategies, policies and economic performance of Revolutionary Cuba, as well as numerous in-depth analyses of specific issue areas. This study is comprehensive in scope, yet concise and focused. It is balanced and objective. It is constructed on a solid and broad a foundation of statistical information and a deep knowledge of the meaning and limitations of that information. It includes virtually all possible source materials from inside as well as outside the island. In sum, it constitutes the best starting point for any observer, analyst, researcher or scholar trying to understand Cuba’s economic experience after Raul Castro’s “Acting” Presidency then Presidency. Below is the Table of Contents to provide a quick overview of the scope of the volume. Chapter 1 Cuba’s Economic and Social Development, 1959-2012. Chapter 2 The Domestic Economy, 2006-2012. Chapter 3 International Economic Relations, 2006-2012. Chapter 4 Social Welfare, 2006-2012. Chapter 5 The Reforms, the National Debate, and the Party Congress. Chapter 5 Assessing the Reforms: Impact and Challenges. Carmelo Mesa-Lago is undoubtedly well-known to all all observers and analysts interested in Cuba in view of his prolific and excellent work on Cuba over the last half-century. He currently is distinguished service professor emeritus of economics and Latin American studies at the University of Pittsburgh. 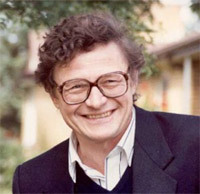 He is the author of numerous books on Cuba, most recently Cuba’s Aborted Reform: Socioeconomic Effects, International Comparisons, and Transition Policies (with Jorge F. Pérez-López). Jorge Pérez-López is executive director of the Fair Labor Association in Washington, DC. He also has been the organizer of the conferences and publications of the Association for the Study of the Cuban Economy since its inception some 20 years ago. 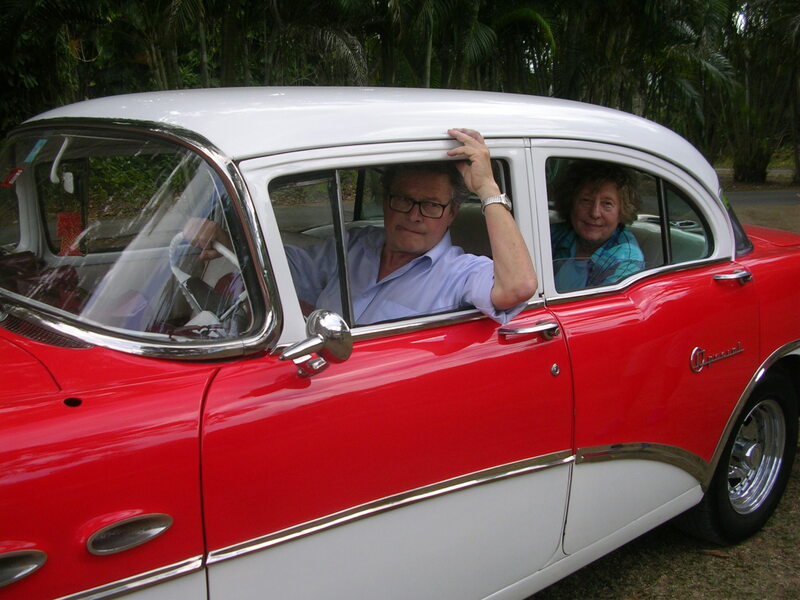 His publications on Cuba have been numerous and excellent – as a spare time activity. 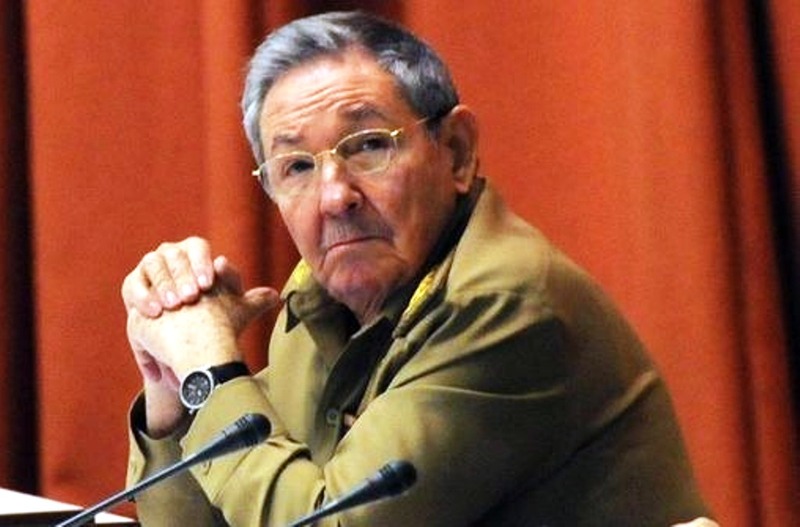 His recent publications include Corruption in Cuba: Castro and Beyond. How he manages to carry out his excellent research and writing on Cuba over and above his demanding employment is an amazing mystery to me! Raul on a Roll; Anti-Reformers in Retreat! Migratory reform. New cooperatives legislation. Tax reform. Conversion of pseudo-cooperative “UBPCs” to more authentic cooperatives. Liberalized markets for housing and cars. Liberalized regulations and taxation for small enterprise. And perhaps more to come as some of the “Lineamients” recommendations get implemented. 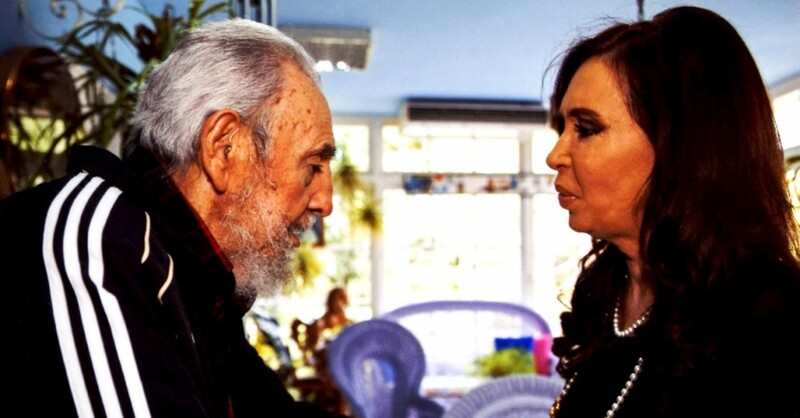 President Raul is seems to be trying to escape from Fidel’s shadow and create his own legacy as he proceeds to reverse some of the most foolish of his brother’s policies. Indeed future history will not view Raul as his big brother’s sidekick and will evaluate him more positively. Every successive Raulista policy reform is a further condemnation of Fidel’s near-half century of personal rule in Cuba. No doubt Raul’s government would build a nice mausoleum for Fidel were he to die before Raul and Cuba’s media and speeches by Party members pour unanimous adulation on Fidel. But Fidel’s approach to the economy – not the polity – is being condemned by his own brother and by the Communist Party itself with every new reform measure. Where are the defenders of Fidel’s approach to economic management? They have fallen silent because Fidel, his economic team and his policy approach have been discredited. Moreover, in Cuba’s one party system, Raul has all the means necessary to maintain unanimity and have the whole party and mass organization system move along with him. Interestingly enough, as far as I can determine, even the foreign Fidelista “friends”, opportunists, sympathizers, and sycophants remain largely unanimous in abandoning Fidel’s economic approach and backing Raul’s reforms. In contrast, those Cubans that want further and faster reforms are vocal and active – though their voices are muffled by the political controls over all the media, by the tight limits on the internet and by the monopolistic political system. However, the voices of independent analysts do get through via some academic and other publications and some blogs. Will the reforms slow down? Will Cuban citizens be assuaged with the reforms that have now been introduced? Will Cuban citizens continue to accept Fidel’s political system after having rejected much of his economic system? Cubans must be asking themselves why they put up with so many of the economic stupidities of the Fidel regime for over 50 years. (Think of the nationalization of almost everything in the 1960s, the shutting down of almost all small enterprise, the 10 million tons, the “New Man,” the abolition of cost accounting – and accountants – in the 1960s, the shutting down of half the sugar sector in 2002.) They must also be asking themselves if the political system installed by Fidel is just as noxious and dysfunctional as the economic system. Cuban citizens will not be assuaged. The economic reform movement will continue under and after Raul. Heightening popular expectations for reform will spread increasingly into political areas. If only the United States would drop the embargo and remove the pretext of the regime for maintaining the one-party monopoly status quo, thereby permitting an acceleration of the democratizing process. As Cuba moves towards a mix of economic institutions with a greater role for the market mechanism as a means of social control over economic activity as well as for private ownership, various forms of co-operative organization have some appeal. Among the many forms of cooperative enterprise that exist and could be considered by Cuba, the Home Hardware variety may have a useful role to play. Already some academic analysts in Cuba are exploring the varieties of cooperative and their relevance for Cuba. ( See New Publication from Cuba: Cooperativas y Socialismo: Una Mirada DesdeCuba). 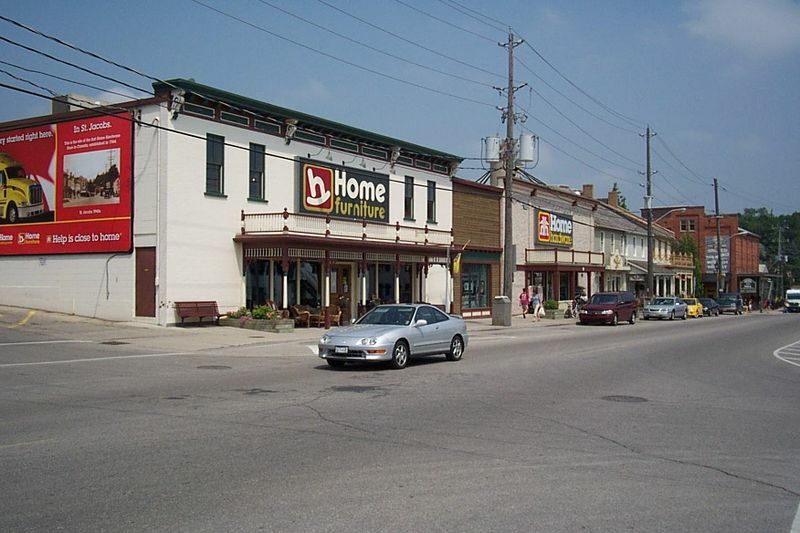 Home Hardware, is a dealer-owned cooperative, in which about 1000 individual hardware store-owners also own the larger enterprise. Membership in the cooperative permits the store owners to obtain major economies of scale in terms of purchasing and shared buying power, advertising, comprehensive inventory management and product delivery, and store management techniques. The cooperative has permitted small owner-operated hardware stores to remain viable in small towns and urban neighborhoods. It has permitted them to survive and thrive in the face of the competition from the massive “Big Box” hardware stores such as Rona (in Canada), Home Depot, Lowe’s Companies Inc., or even Wal-Mart. 2. Damage to local communities and neighborhoods as commercial live gets sucked out of them to the sites of the Big Box stores. 3. Environmental costs as long distance driving to the big stores replaces closer access to community stores. 4. Exclusion of smaller scale local sources of products in favor of massive low-cost purchases for all their stores from single sources – usually from China, thereby helping to kill off local producers. 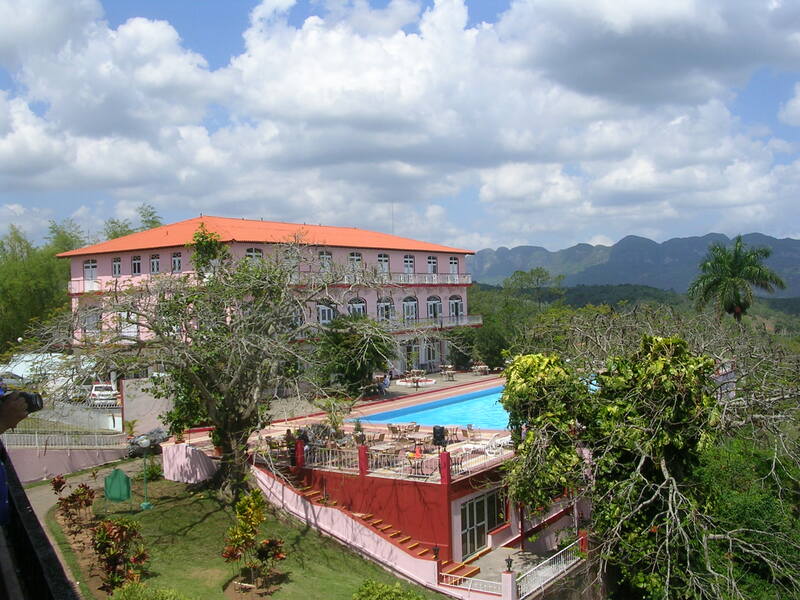 Already Cuba has a number of state-owned chains of stores,restaurants and hotels such as Tiendas Universo (CUBANACAN S.A.), Tiendas Panamericanas (CIMEX S.A.), Tiendas Caracol (HORIZONTES Hoteles S.A.), Tiendas y Supermercados de la Sociedad Meridiano S.A. (CUBALSE Corporation; closed in 2009), Tiendas TRD Caribe (GAVIOTA S.A. owned by the militayr), and Tiendas de Habaguanex. If these were to be privatized under concentrated ownership, some of the problems of the Wal-Mart or Starbucks types of conglomerate would be generated or continued. In the years ahead, it is likely that Cuba will continue to move towards greater private ownership in many areas. If a future government wishes to avoid some of the disadvantages of the Mammoth Enterprise Chain syndrome, it could consider providing encouragement to Cuban-owned cooperative networks or independent enterprises in various activities in retailing and service provision. Possible areas where such a form of organization could be useful might include hardware stores (of course), food stores, bars, coffee shops, variety stores, barber shops, estheticians services and clothing stores, among others.